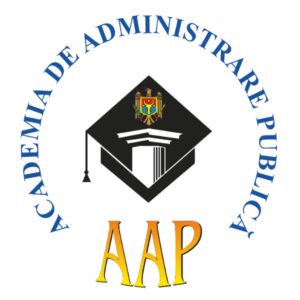 The Academy of Public Administration (hereinafter referred to as the – APA), is a state higher education institution and operates as a national center for promoting state policy in the field of public administration, training civil service personnel as well as providing scientific and methodological support for the activity of public authorities. The mission of APA is to train and improve the civil servants and other categories of specialists from public authorities and institutions. The training activity and scientific research in the Academy is realized within 2 departments: Higher Education and Professional Development, 5 specialty chairs, and the Department of Scientific and International Cooperation. The Academy has a scientific library including rich background of books and some electronic resources, and an Editorial Department. In the period 2006-2014 the Academy, in collaboration and with the support of development partners (World Bank, UNDP, GIZ, AIDS) has developed training modules 18 (Budget and financial management, Public internal financial Control, Internal control and Financial Management in the public sector procurement, Human resources management, Management and strategic planning, Project cycle management, Accounting, Integration and adaptation of the public function etc.). For each module were developed Curriculum, participant Handbook, trainer’s manual. Also have been trained and certified by 6-14 trainers for each module. In accordance with Government decision No. 962 from 05.08.2003 the Academy issues to participants in professional development courses and graduation certificates, the model of which is approved by the Senate. The Academy has facilities for training specialists in the public administration field: buildings (building for studies, dormitory, and canteen) scientific library, computer labs, printing equipment etc. that enable the provision of qualitative studies.